Do you remember our recent ‘Raid’ of the Origins Store ? Well we decided to make a habit out of it. 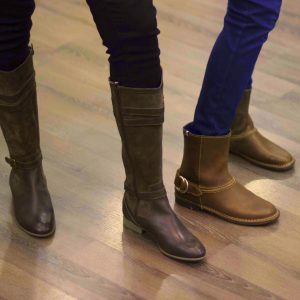 Somehow, as much as we LOVE our designers, we felt we were ignoring the High Street and as a second stop in what will hopefully soon be a series, we ended up at Hush Puppies at City Towers in Lahore. To be honest, as the merciless Lahore winter suddenly dawned upon us, we decided it was time to check out shoes. Given how we all practically hibernate come winter, the foremost consideration was finding something that would go with snug socks and keep the toes warm for the next month or so while the season lasts! 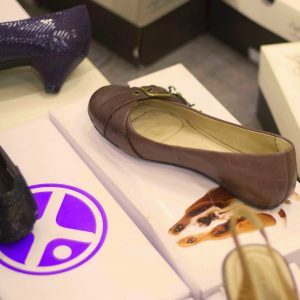 Hush Puppies is an international brand present in over 150 countries and is universally known for comfort footwear so that is pretty much what we were expecting to find at the store. 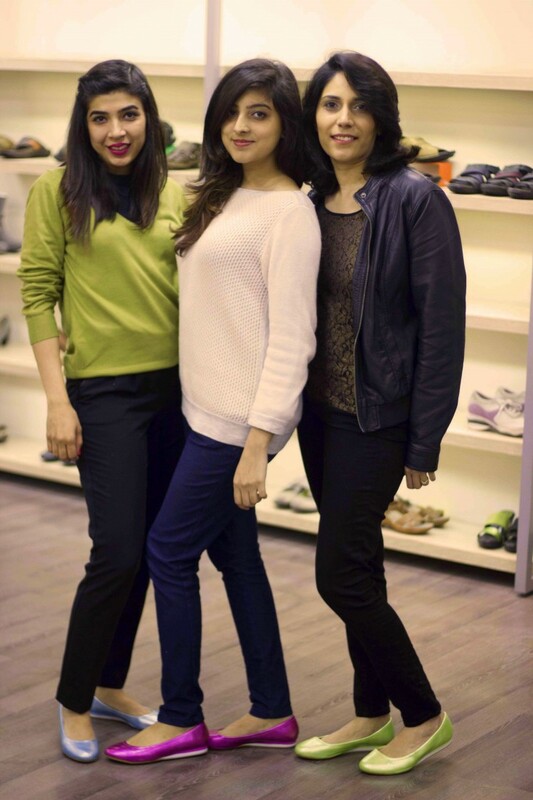 Foha, Mehreen and I along with Usman got to the outlet and went mildly crazy trying the shoes. 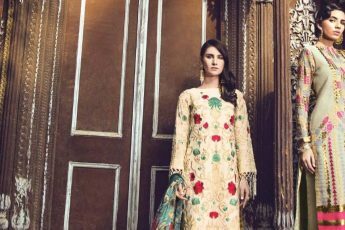 The collection unlike what we expected had heels, flats, boots, sandals, pumps you name it all generally priced between PKR 1000 and 4000. Would we say Hush Puppies is high fashion? Definitely not, BUT it does offer a little something for everyone. All three of us (despite our styles being poles apart) found some pretty cool foot wear. Personal favourites were the neon shimmering ballerina pumps, the sparkley red, black and gold ones and the very comfortable everyday wear boots. A little birdie tells us these fashions steals are due to be on sale soon… We recommend heading to the store before everything flies off the shelves. In the meantime, enjoy our visual diary of our visit to the store.